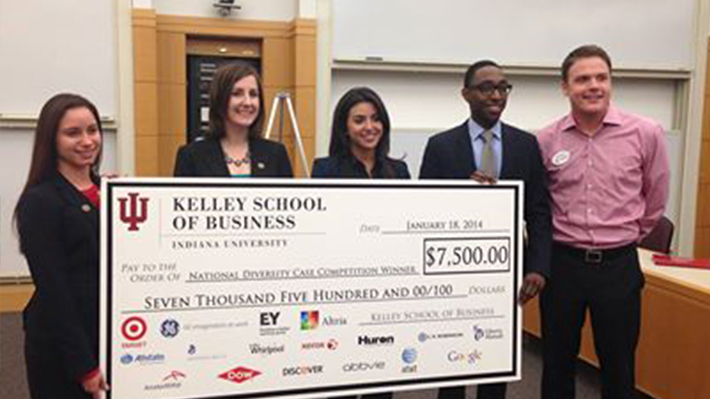 A team of undergraduate students, dubbed the LeBow Dragons, recently took first place in the National Diversity Case Competition held at the Kelley School of Business at Indiana University in Bloomington, Ind. The team of five beat out 35 schools from across the United States, including the University of Pennsylvania which placed fifth. The teams were asked to create an innovative digital marketing campaign for a Fortune 500 company that was designed to reach a new diverse market through unique and innovative approaches utilizing social media channels. Other teams that placed include University of Washington, second place, and the University of Indiana, third.